Peek-A-Bear Greetings, New for Fall 2006; All occasion greetings that are way more fun to open than the same old same old...because they have a tiny little 4.5" Boyds Bear waiting to be taken out..
Peek-A-Bear Greetings, New for Fall 2006; All occasion greetings that are way more fun to open than the same old same old...because they have a tiny little 4.5" Boyds Bear waiting to be taken out and loved! 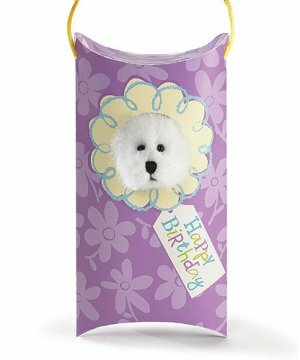 Colorful boxes carry the greeting and the peeking bear and come with built-in cord hangers for displaying! Fun birthday design for anyone!